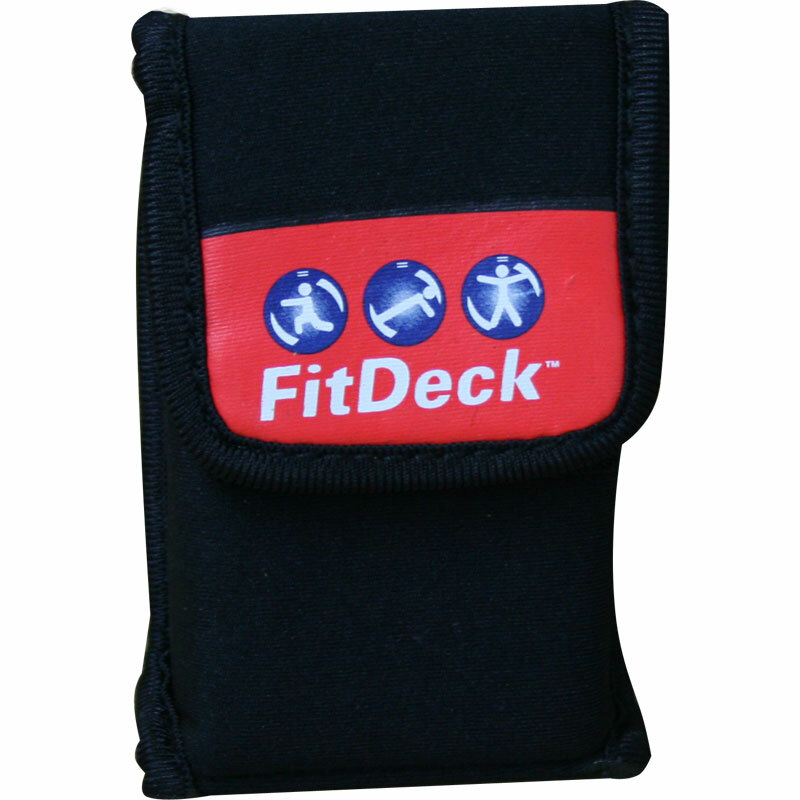 The sporty neoprene Fitdeck ® Card Holder is ideal for regular users of FitDeck. It is made of a soft neoprene fabric that grips the cards and keeps them neatly in place. A clip on the back of the card holder allows for "hands-free" transport on shorts, belt, or backpack. Perfect for people who like to mix and match cards from different FitDecks. Holds up to 70 FitDeck cards. Carry clip on the reverse.